A smart recycling program can not only do you and your company’s bit to save natural resources, it can actually save money. Whether your running your own business or want to start a recycling program at your “non-Ambit” job, here are a few tips to help you get started. Ambit has an office recycling program in place, and our experience shows that it’s a great way to make a difference for the environment and the bottom line. The first step to a successful recycling program is figuring out what you’re throwing away. 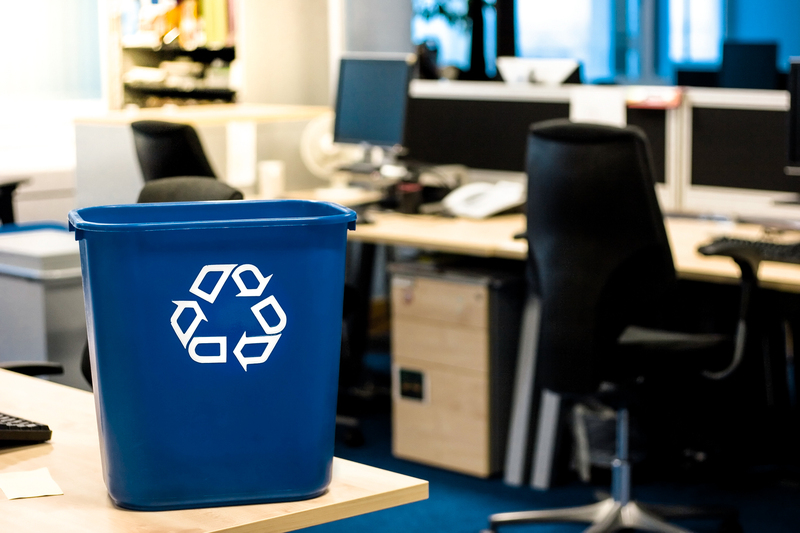 Knowing what’s recyclable and what can realistically be incorporated into an office recycling program is critical. While 90 percent of office materials can be recycled, trying to track and organize all those materials is too overwhelming. Talk to whoever collects your waste materials and see what they recycle. Choosing two or three of their most popular items is a good place to start. Paper and beverage containers are two likely choices for starters. Most collectors will recycle them, and most people will quickly adapt to dropping old papers and soda cans and water bottles into bins instead of wastebaskets. As people buy into the idea of recycling, you can start to add larger and more complex items like printer cartridges and old electronics. Recycling these types of waste is a bit more complicated—check resources like Earth911 and the EPA for more information. You’ll need to appoint a coordinator to oversee the program. Getting buy-in from top executives and office management is also important. To encourage participation, make sure there are plenty of conveniently placed bins around the office. Depending on the size of your company and your location, you may be able to use your municipal garbage service, a private company for collection or have to drop off your recyclables yourself. Some companies will pay for recycled items, enabling you to turn your recycling program into a minor profit center. But of course, the real benefit is the good it does for all the environment.